Satou's here. There's this saying 'a bolt out of the blue', you don't know when something happen in life. That's why, spend the day enjoyably without regret--that's what my grandfather in the countryside always told me. I quickly open the map, and pick not the search bar, but the marker list. Her current position is--the lower layer of the Labyrinth? Why is she in such place. "Zena-cchi might've been kidnapped by a monster! Boy, you have a lot of influences right? I beg you please search for Zena-cchi!" Lilio grabbed my arms and begged. Tear lines overflow on her cheeks. For the time being, Zena-san isn't hurt. Doesn't seem like she's in abnormal state either. That said, we don't know if it will keep like this, I have to act quick. "I understand. I'll go look for her." Miss Iona beside her catches my shoulder. Her armors are also broken, her shoulders are bare. I want to quickly rescue her. "Where are you going without knowing the place she's gone missing at and the situation." Damn, I was too impatient. Was it a bit unnatural. An excuse. Deception skill, show me your serious mode. "I'm going to gather people. I know someone who's good with searching magic, so I'm thinking of asking his help. I'll listen to the situation later, so please go ahead to the temple branch to heal yourselves." "Yes, I understand. 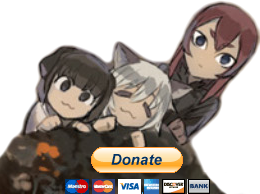 Since Zena-san had serious injury before she was kidnapped by the thick fog, please get someone who can heal her too." Looking at the map, she's been completely recovered though. Moreover, [Kidnapped by the thick fog], was there such a monster? Oops, let's postpone questions for later. I took Miss Iona's request and left the guild. I go back to the mansion with cab carriage, and move to the Labyrinth Area 66 with [Return] magic from the basement. I'm glad that I've put a carved seal board there when we were subjugating the floormaster. I go down to the middle layer from there, and look for the shortest path to the entrance of the lower layer. Just in case, I've changed into Kuro when I arrived in the Labyrinth. I contact Arisa with [Telephone] magic while I'm moving. "Arisa, sorry but could you please suspend the food-sampling, and make the preparation to enter the labyrinth?" An immediate answer without even asking the reason, as expected of Arisa. I tell Arisa about the [Disappearance of Zena], and get her to organize a dummy search party. I'm sorry for Lulu who's doing a special training for the Duchy Capital Cooking Tournament, but I'll be borrowing the three advisors, Liza, Arisa, and Mia for a bit. While relying on the Hiding skill, I make my way through the labyrinth's passages near the ceiling using Sky Drive in order not to let the explorers who are hunting in the middle layer notice me. Some winds may be left in my wake, but please overlook that much. I drilled a hole through a gigantic slime that blocked the way, smashed some carnivorous plant monsters that had grown closely together to become a forest, and repeatedly mowed down steel string nests in the Massacre Spider's area before I came out of the middle layer. I had also exterminated some large monsters who blocked the way, but it's just trivial things. I stop at a mysterious metal door on the path that continues to the lower layer. Apparently it's a sealed door with Riddle. I immediately knew the way to open the door with [Riddle] skill, but since it seemed that it'd take time to do, I forcefully severed the door using the holy sword Caliburn, opening the way. Moment time is precious right now. I wonder how long the spiral staircase beyond the door continues underground. The radar finally notified that I had entered an unknown area. I use the [All Map Exploration] after a long while absent, and check the lower layer. The lower layer of the labyrinth is apparently slightly different than the upper and the middle layer. If I liken it to plants, imagine there are eight gigantic bump-shaped rhizomes, connected to several hundreds mesh-shaped small rhizomes. These rhizome parts are what you call 'Area' in the upper and middle layer. The smaller parts are only as small as 1-3 average area, but any one of the eight larger parts is big enough to put the whole Selbira city inside it. And Zena-san is in the biggest one among those. I immediately knew the one who kidnapped Zena-san after searching the map, but it's someone I can't be careless with. A Vampire--in addition, a True Ancestor. Whats more, it has a skill called [Concentration]. It smells like a unique skill although I don't have any proof. Moreover, the level is 61. Looking at its skill composition, it's more of a Magic Swordsman than a Magician. The name displayed on the map is [Ban Helsing]--I can't help but feel that the name is somewhat wrong for a Vampire. It's plainly the name of a reincarnated person. I was thinking that it might be a descendant of a reincarnated person, but its detailed information is [Founder of Count Helsing House], so it probably made the house name itself. There was probably no one who retorted [It's not Van'?]. There is a big castle which occupies almost all of the large area where Zena-san is. Inside the castle, there are seven Vampire Lords, countless Poltergeists, and 17 human women. Strangely enough, there is no normal vampire. Inside the room where Zena-san is located, there are six other women who have been seemingly kidnapped, there's also the woman whom I've heard to have disappeared in the Explorer Guild, Gelca. The ten people outside this room have the title of [Maids of Perpetual Night Castle], so they're probably people who are working in the castle. I can break through the front gate just fine, but it'll be troubling if they make Zena-san a hostage, so I've decided to invade it stealthily. I use earth magic to make a path on the labyrinth wall from the small area directly under the large area. I had used the same magic to escape the underground labyrinth in the Duchy Capital back then, but this labyrinth strongly resisted me making the path, thus the work consumed large amount of magic power. I wanted to come out on the basement of the castle where Zena-san was, but since there were massive quantity of water which seemed to be an underground lake, between us, I avoid it. I can store the water in my storage, but the structure above would collapse if the water suddenly disappear, the Vampires would notice it, so I decide against it. Nevertheless, the path-making is complete in 10 minutes, and I've safely invaded the large area where Zena-san is being held. I slip out of the hole and hide myself in the nearby bush. I put my head out of it and calmly check the surrounding. Scenes that fit the word 'Underworld' more than 'Geo Front' spread before my eyes. I reflexively confirmed my map, but I am still in the labyrinth. Skeleton Farmers are working on a large vineyard, Marionette-like Living Dolls are harvesting the crops and carry it with awkward movements. There's an underground lake beyond the field, and a white castle on top of it stands out against the moonlight. Yes, even though this is underground, there's a moon in the sky illuminating this vast space. That moon is most likely a magic or a magic tool. A twisting bridge has been built connecting the shore to the castle. My Magic Perception skill tells me that there's some kind of barrier on the lake. I fill the hole I've used to invade with earth magic, and recharge the used magic power from some magic sword just in case. I want to invade stealthily, but the people in the castle would surely find me if I put my feet on the bridge. I can also see Gargoyles-like shadows on the lake, and it seems there are monsters underwater too. Now then, how should I invade this I wonder. I can of course discuss with the lord of the castle directly to get her returned, but Zena-san's safety is my maximum priority. They did heal Zena-san who was seriously injured, but although they're probably not evil, they're still vampires after all is said and done. There's a high possibility that they've captured Zena-san and the others to make them work in the field or make them into vampire's brides. For the time being, I'm going to check the place where Zena-san is with [Clairvoyance] magic. It's failed to work, it seems space magic is being restricted here. Wonder if it's because of the lake barrier? Since it seems my Map and Radar aren't inhibited, I make Zena-san's marker to be active and her location to appear on the AR reading. The function is originally used to navigate to NPCs for quests and the like, but it seems it's possible to use it like this. To be frank, it's too convenient. Zena-san's marker on the AR reading seems to be moving, wonder if it's just my imagination. Don't tell me, she's trying to escape herself? When I check the map, it seems only Zena-san and Miss Gelca that are trying to escape themselves. On the map, a luminous point appears at the place where they are heading--It's the True Ancestor. It's probably going to apprehend them. I predict the place where the girls will move, and decide to charge straight ahead there. I take out the Divine Sword from the storage, and run past the lake with Flash Drive in a straight line. I tear through the barrier along the way with the Divine Sword, penetrating through the opened way. After leaving the barrier, I put the Divine Sword back into the storage. I stand still just before the castle wall, and then create wall with [Air Curtain] magic behind me to scatter the squall produced from the Flash Drive. I place my hands on the castle wall, and use earth magic to create hole in one go toward the passage where Zena-san and the other girl are. Alright, I can see Zena-san's face. Since Zena-san has stopped moving while facing toward her destination--she's probably squaring off against the True Ancestor--I appear before Zena-san with Flash Drive, and then I put both girls on my shoulders before they can raise their surprised voices, and use the [Return] magic. Just before the teleport, the surprised Zena-san hardened her body on my shoulder. I was worried whether the teleport would be inhibited like with the [Clairvoyance] earlier, but maybe because I had broken the barrier with the Divine Sword, I teleported away without problem. It was slightly at the limit, but Mission Complete.